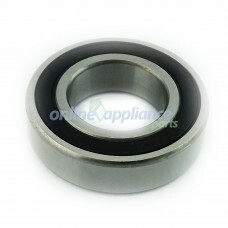 6306-2RS Bearing 6306VV 30X72X1930MM bore. 72mm OD. 19MM width..
6305-2Z Bearing 6305ZZ 25X62X1725MM bore. 62mm OD. 17MM width..
6206-2RS Bearing 6206VV 30X62X1630MM bore. 62mm OD. 16MM width..
6205-2Z Bearing 6205ZZ 25X52X1525MM bore. 52mm OD. 15MM width..
6205-2RS / 6205VV Bearing - Genesis/Aquarius Gearbox to suit Electrolux Washing MachineEle..
6203-2RS Bearing 6201VV 17X40X1217MM bore. 40mm OD. 12MM width..
6201-2RS Bearing 6201VV 12X32X1012MM bore. 32mm OD. 10MM width..
6006-2RS Bearing 6006VV 30X55X1330mm bore. 55mm OD. 13MM width..
6005-2RS Bearing 6005VV 25X47X1225MM bore. 47mm OD. 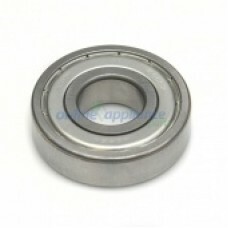 12MM width..
6003-2RS Bearing 6003VV 17X35X1017MM bore. 35mm OD. 10MM width..
6002-2RS Bearing 6002VV 15X32X915MM bore. 32mm OD. 9MM width..
6001-2RS Bearing 6001VV 12X28X812MM bore. 28mm OD. 8MM width..